Our highest priority is making sure your online store is always on so you don’t have to. Blueport’s Cloud infrastructure makes website operations easy. 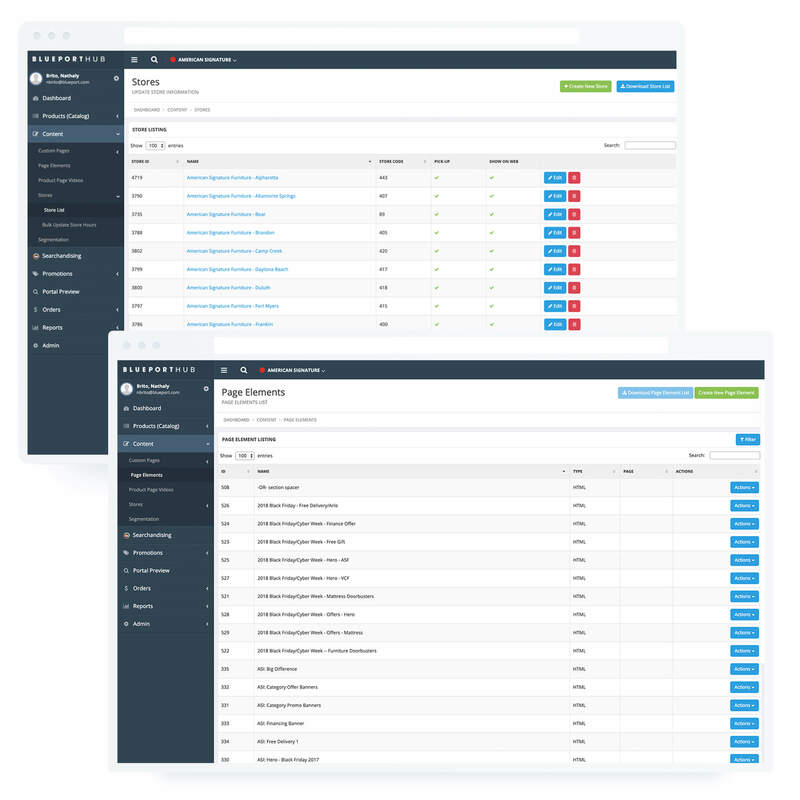 Stop struggling with security patching, upgrade management, asset management and capacity forecasting and let us ensure the quick and seamless access to your website that your customers have come to expect. Adding servers and bandwidth for our customers is a matter of hours or minutes. Using private cloud technologies, we maintain excess capacity at all times and can easily allocate it wherever it is needed. Adding more hardware capacity is easy and cheap – with our shared success model, we will never let hardware cost get in the way of sales. Every component of our network from the data center infrastructure level on up has two or more instances operating simultaneously with automated failover. At least N+1 redundancy on servers, switches, firewalls, power, internet access, storage and more. If something goes wrong, Blueport is available to correct the issue. Our monitoring tools mean that we will usually know before you do, and can often correct problems before customers are even impacted.